Did you miss out on the bargains of Black Friday? Perhaps in an effort to catch up you’re reading this in between filling your online Christmas shopping basket. If so, you’re in good company as today is Cyber Monday which typically has the biggest online sales of the year. Ahead of this landmark day, we decided to take a look at two major toy retailers, which have both an online and offline presence: Smyths and ToysRUs. Last month, B&Q unveiled a new responsive website, as part of a £60m redesign of its website and backend systems. The new site was reviewed by David Moth earlier this month and to follow this up we decided to get some feedback by asking users to test the site, using whatusersdo. A mix of desktop, mobile and tablet users were asked to perform two tasks on the site. The first was a targeted shop to find internal door handles and go through the purchase process up until payment. As the new site prominently features sections titled ‘Inspiration’ and ‘Projects’, the second was to gather ideas for updating a room of their choice. So what did the users think of the site? What does AmazonFresh bring to the online grocery marketplace? The Amazon subsidiary AmazonFresh has been selling groceries in the US for several years now but is starting to expand its reach across the US, adding San Francisco and Los Angeles to its delivery areas last year. With around a fifth of us in the UK buying our food online the practice is well established, so what innovations may the online retail giant bring to this marketplace? We asked a group of US based users to try out the service using Whatusersdo to record the results. The launch of the new fashion sharing site todayimwearing.com is the latest contribution to a now established trend which has changed the way fashion trends are communicated and bought. Joining an army of fashion bloggers, users of the site can upload photos of themselves, tag their outfits and check out what others are wearing. We wondered how the experience on todayimwearing.com, with its user generated content would compare to a high street giant such as TopShop.com which has had many years to perfect the online experience for their customers. Using whatusersdo.com we asked users, who are regular online clothes shoppers, to browse the sites for an outfit they genuinely liked and try to buy it. We then asked them which site they preferred and why. The UX world has been gearing up for a big event this week. No, not the US Presidential Election (although hopefully poor usability will not play a major part in this election as it supposedly did in 2000 ). Today (November 8) is actually World Usability Day 2012, during which organisations and companies around the world hold events to spread the word and work of Usability and UX Professionals. This year’s theme, apt for the current economic climate, is Financial Services. 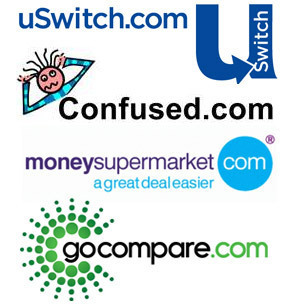 So, in keeping with this we decided to take a look at how two of the UK’s most popular financial comparison web sites stacked up against each other: Confused.com and MoneySupermarket.com. Using whatusersdo.com we asked users to conduct some typical tasks involving a specific type of financial service that many of us may be familiar with as it blurs the line between finance and lifestyle: pet insurance. The results were quite surprising and not what I would have predicted. My guesses of the issues: confusing terminology, cluttered layouts, not knowing where to start, were all present but not the main problem. I think it’s a reasonable assumption to make that when someone goes to a comparison site to look at the cost of insurance they expect to be able to, well, get a comparison. The two sites that we tested both failed in this mission in their own way. 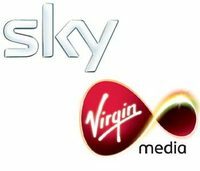 Sky TV and Virgin Media: how easy is it to switch loyalties? In the past, it was quite common for people to remain loyal to the first bank they ever opened an account with, opting to stick with it through the bad times and good. Nowadays however unwavering customer loyalty is seen as rather a quaint relic of yesteryear and we have become a far more savvy lot of consumers. More aware of where better deals lie, we grit our teeth and overcome the administrative challenges that switching any sort of service or utility provider can require. This switching strategy now includes our once simple TV. Increasingly linked to our communications and Internet, this centrepiece of our living rooms and our Saturday evenings is something that can’t be messed with. We decided to look at how easy it is to switch between the main providers of paid for TV services – Sky and Virgin Media and asked four customers of each to test the other’s site using whatusersdo.com. How easy is it to invest online? Pensions, as with many other financial products, can require a good deal of research before users can make a decision on which is right for them, so how easy is it to do this online? With the help of user testing videos from whatusersdo, we have been looking at the online user experience provided by two of the largest UK institutions, Barclays and Nationwide. We asked users to look for products that would act as a nest egg for when they retire. Having very different online personalities, we wanted to see which fared better in their ability to gain people’s trust and understanding of options available. What do users do on travel websites? A few weeks ago, Econsultancy posted a survey on what customers say they want from travel websites. As the survey outlined, 85% of respondents use the web to research or book holidays, which underlines the importance of the web to the travel sector. However, there are a few areas where the online user experience on travel sites could be improve, so we decided to take a closer look at what users actually do when booking holidays.